Honen got religious precepts from head priest of the Tendai Sect, Gyogen of the 48th of the teacher. Naturally, he learns the education and researches of the Lotus Sutra and Tendai.Honen concluded that all creatures hardly understand the Lotus Sutra which he was not able to understand. "Throw away it , close it , ignore and abandon it". These are only arrogance of Honen. When we just read the Lotus Sutra, some scenes having difficulty in understanding surely come out.The Ceremony in the Air of Tathagata Taho and Shakyamuni Buddha float in the air along beside the tower of treasure. The advent of bodhisattvas of the earth of hundreds billions to take propagation after passing away of Buddha. Even the Maitreya-bodhisattva who was in the place said, “The Buddha, when did you lead these bodhisattvas?". He was upset about this phenomenon and doubted it. Several scenes more than the understanding of the ordinary man appear there. Honen felt his powerlessness for the elucidation of this phenomenon. After he was troubled, he changed his attitude. Honen was able to discover only a method to cling to the Amida Sutra of only 1878 words that himself could understand rather than all creatures understand. The logic that is preached in Amida Sutra is very simple. It is like that if we summarize this. "There is a country of Buddha of the name that the Land of Happiness says. There is it in the place where we passed the west, the country of Buddha of a hundred billion. There is the Buddha named Amida there. The people of the country receive only pleasure without receiving pains. Thus, we name a country of Buddha the Land of Happiness. Three evil paths do not exist there. If a good man and a good woman pray hearing the name of Amida absorbedly, at the time of end, Amida Buddha appear, we can die in the Land of Happiness. Therefore, these people who heard this sutra should pray to be born in the Buddha's country. It be revealed the content of the enlightenment of the Buddha is not preached even a single word in the Amida sutra. In addition, it is not clear why we can pass away to the Land of Happiness if we pray for the name of Amida. Shariputra, man of the best wisdom, is a partner to talk of the sutra of this Amida, but he is a partner to talk of the chapter of the Expedient Means in the Lotus Sutra too. Shariputra asks Buddha for teachings three times at the place of the sermon of the Lotus Sutra, and Buddha begins to preach "the one great purpose by fate” that appeared in saha world for the first time. In other words, Buddha reveal a very deep thought why he appeared in this saha world. Buddha says, "I will let them open the wisdom of Buddha and show the wisdom of Buddha and realize the wisdom of Buddha" for all creatures. Nichiren concisely elucidate the merits and demerits of the before-Lotus Sutra and the Lotus Sutra in " Letter about the Messenger of Mongolia." In other words, Nichiren points out that Honen who depends on the internal and external sutras which preach only partly the Law of person's mind is a blind person who cannot see his figure floating into a mirror, and is a infant who is not afraid of terrible suffering. Therefore, after death of Honen, his disciples appeared who modified Honen's doctrine, they stopped throwing away all sutras and began preaching what could pass away to the Pure land even by the other sutras. They say that they accept other sutras to escape criticism of the world. But the real intention is only one practice of Nembutsu. Shinran who learned Honen as a teacher is this representative. It is easy to read "the Lamenting for Difference" to understand Shinran. " Lamenting the Difference” is what Yui'en of the immediate disciple of Shinran wrote the words of teacher, he was grieved over various kinds of divergent views that occurred in a religious community after Shinran death. We will watch contents of "Lamenting the difference”. At first it is negation of the possibility. Shinran takes the teachings from his teacher Honen well. Shinran says giving up this world and betting on the future life. This world is meaningless if we believe Shinran. There are not the modern people having such a thought. But the reason why there is no end to suicides may come from the teaching of Nembutsu to escape from the world to. The suicide per 100,000 of Japan is 18.5 people, and this is the 17th worst in the world. It is the worst in the G8.When they are hard or tough, they become feeble, and commit suicide . Shinran is in danger than a narcotic drugs. We remember that Shandao of the founder of the Chinese Nembutsu hanged himself with the tree of willow. Shandao committed suicide saying the world was filled with sufferings. Nichiren writes it down about the suicide of priest Shandao as follows. "He became the great deadly foe of the Buddhas of the three existences, and he repeated a mistake of great slandering Buddha's teachings that he lose seeds of the attaining Buddhahood of the tathagatas of the ten direction. This is a cause to be the reward of the big crime, and to enter the great castle of the hell of the incessant suffering. Therefore, he would go crazy immediately. He climbed the willow tree in front of Buddhist temple, hanged himself and threw the body and he have committed suicide. The curse of the evil doctrine does not turn a heel. We watch the invisible punishment to here. He said at the last; ‘I hate about body myself. I am tormented by various pains, and there is not rest for a while either'. He climbed the tree of willow in front of the temple and he prayed toward the west and said in this way. 'Buddha, please give me a great might, please rescue me. The Bodhisattva of Kannon and Wisdom, please come and help me'. He finished advocating it in this way and threw his body from the blue willow and committed suicide. He hanged himself on March 17 and flew, but he fell on the firm soil of the large drought and hit the backbone, and broke it. It may be the rope which he bound was weak or the willow branch might be broken. ‘Nembutsu is Hell of Incessant Suffering'. Saicho of the Great Teacher Dengyo was born approximately 400 years before Shinran, and says. “Do not believe all scholars of the non-justice and not accept them. What is the reason? A disciple falls again in the place where a teacher falls, and a follower drops either. Why we may not be careful with a golden clear teachings? May not be careful? “. 'Protecting the Domain of the Country' in 'the Chart of Teachings during Five Periods of Shakyamuni Buddha'. "A disciple falls again in the place where a teacher falls”. These words are exactly right. We can recognize that the teacher and disciple of Honen and Shinran have let Japanese make degenerate remarkably between these several hundred years. Nichiren continued criticizing the other religion at the same time. "Nembutsu is the hell of incessant suffering, the Zen is the work of evil spirit, Shingon destroy the country, Religious Precepts Sect is the act of treason to the country." It means that the person chanting Nembutsu falls into the hell of incessant suffering. Nembutsu had force as if almost becoming the state religion in those days. Nichiren repeated criticizing Nembutsu mainly. 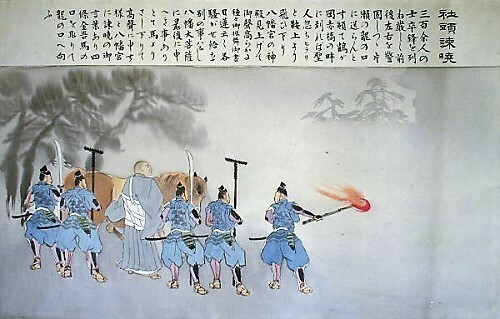 Scholars of Nembutsu despised that Nichiren is one person, and they attacked, but Nichiren counterattacks by using the shield of the doctrine of Buddha. There was not the person who matched Nichiren in a discussion of the doctrine of Buddhism. By the way, the Nembutsu sect (the Jodo Shinshu sect), Zen Buddhism (Soto sect), and Shingon, has been handed down up till the present. Four denominations which added the Nichiren sect survived until the present. In other words, a denomination which had been created in the Kamakura era just survived until the present. There is the times of civil wars after the Kamakura era, and there is the Meiji Restoration, and there was the defeat of the Showa, but, these four religious sects are the basic tone of the mind structure of Japanese without changing regardless of awareness lack of self-consciousness. In addition, in AD 754, the Ritsu (religious precepts)sect was handed down by a Buddhist priest Ganzin of Tang. 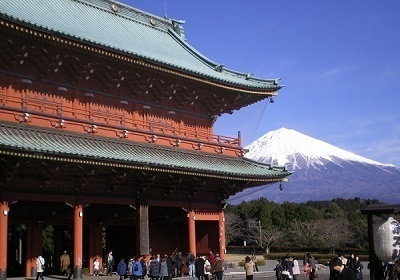 However, it became outdated early because the doctrine of the Ritsu sect established the sanctuary to let people make a priest and only granted religious precepts. Although Christianity to preach Ten Commandments came up in substitution for this, Christianity does not preach the three existences, past, the present and future, and either not preach the reward and punishment of cause and effect. This Christianity of non-Buddhism, so to speak, hardly is spreading in Buddhism country Japan. By the way, the population ratio of the Christianity believer in Japan is only around 1.5% now.In addition, although India of the Buddhism birthplace became the British colony once, the Hinduism that preached the metempsychosis of three existences (past, present, future) and preached the reward and punishment of the cause and effect penetrated to the people this country, and Christianity almost did not spread. The population ratio of the believer according to the Indian denomination is Hinduism approximately 80%, Islam 13%, Christianity approximately 2% and Buddhism does not reach 1%. Besides, Christianity never propagated in China which was a Buddhism country. The population ratio of the modern Chinese denomination is the native religion (Taoism) less than 80%, Buddhism less than 13%, irreligion 12%, Islam 2%, and Christianity 2%. Nembustu that Honen advocated were all the rage in this time. Honen has passed away ten years before Nichiren was born, but the teachings of Honen have been breathing to people of the Kamakura era vividly. Nichiren criticizes Nembutsu from the root doctrine as the prime example of the most evil religion.To criticize Nembutsu sect was to criticize initiator Honen of the source. The Nembutsu religious sect survives until the present times, but nobody evaluates Honen who is the founder. The reason is because Nichiren clarified it that the doctrine of Honen deviated too terrible from a text of a sutra. 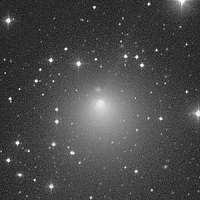 The claim of Honen is this. Because the teachings except three Pure Land Sutra are difficult enlightenment for the common mortal, destroy all it. Therefore, he told people to abandon all sutras such as the Lotus Sutra, the Kegon Sutra and the Golden Best Sutra which Buddha preached, close it, ignore it and throw it away. it is so-called; throw away, close, ignore, abandon. Honen interpreted the golden words of Buddha who had said that "the clear Law that Buddha preached would hide and sink when the times of the latter day of the Law began" in his own way. It is preached on the Sutra of the Great Assembly (the 15th Bodhisattva Moon Storehouse) in this way. “Shakyamuni Buddha decided the times of future to Bodhisattva Moon Storehouse, stating: The first five-hundred-year period after my death will be the times of self-emancipation, and the next five-hundred-year period will be the times of meditation. With the above it is one thousand years. The third five-hundred-year period will be the era of reading, reciting, and listening, and the next five-hundred-year period will be the times of building temples and statue. With the above it is two thousand years. The last five-hundred-year period will be the times of fight and disceptation within the teachings that I have preached, as a result the pure Law will become obscured and lost”. 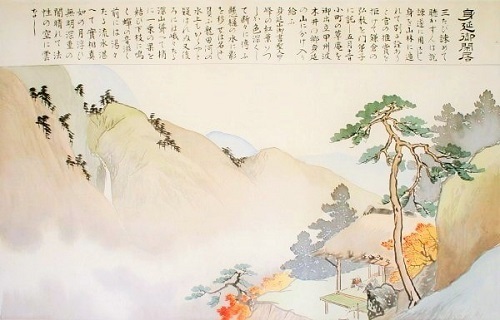 This text of the sutra became the grounds of the thought of the latter day of the Law. Nichiren also criticized other religions and elucidated that the way of attaining Buddhahood for human beings of the latter day of the Law exists only in the Lotus Sutra. However, Nichiren quotes a lot of Buddhist scriptures excepting the Lotus Sutra in his writings, recognizes the value of all sutras of Buddha. Nichiren placed the Lotus Sutra to the ultimate best teachings and, with that in mind, revived all the Buddhist sutra. In addition, Honen said the other sutras except sutras (Immortality Sutra, Meditation Immortality Sutra, Amida Sutra)of the pure land are the gate of the sacred path. He preached. Although the teachings except three sutras are suitable for a person of excellent ability, common people of the latter day of the Law cannot understand it and therefore not become Buddha. By this doctrine, he said that if we chant the name of Amida Buddha, we can attain Buddhahood in the afterlife. And he called this the gate of easy practice. "There is not the Tathagata Amida in real world. We can come across Amida who is in the other country after death. It cannot but wait for the future life for becoming Buddha". However, this logic is words to lead to present negation. We seek a hope or a thing such as the possibility within even tough daily life unconsciously. It may be said that it is instinct. Honen closed the cap of emotions of such human being. This result is escapism, and only despair remains. That is why Nichiren called Nembutsu the hell of incessant suffering. Hell is not a story of the future life. If we deny hope or possibility, only pains are left. Nichiren uncovered wicked doctrine of Honen in this way, but they had known that the logic of Honen did not too have consistency when the scholar of Nembutsu to be hostile to Nichiren checked a doctrine of Honen. Nembutsu spread only naturally, they could not refute it at all when attacked from the document of all the sutras by Nichiren. Therefore, there is not the person evaluating Honen in the present day. Furthermore, there are not the people who praise the contents of "the Selection of Nembutsu" of his writing. Nichiren preached Nam-myoho-renge-kyo that was the title of the Lotus Sutra directly. He preaches it regardless of the ability of a person hearing immediately. Shakubuku meant this. To the contrary, Shakyamuni has induced all creatures for more than 40 years. He preached the various teachings to preach the Lotus Sutra that was the core of Buddha Law. ‘Adjusting, and nurturing inborn capacity’ means this. Shakyamuni needed 40 years to begin to preach the Lotus Sutra that was the long-cherished hope of the purpose in life. Nichiren was different from Shakyamuni and preached the nub of the Lotus Sutra promptly. This method is shown in "24th, the Bodhisattva Never Disparaging" of the Lotus Sutra. Shyakubuku is that the Bodhisattva Never Disparaging (note) appearing there and preached did not discriminate, said "there is the nature of Buddha (the world of Buddha) to all creatures". The populace does not have the relationship with the Lotus Sutra. 'Originally not being yet of virtue' (note) means this. Therefore, the populace had malice toward the Bodhisattva Never Disparaging and persecuted the bodhisattva with a stick and a tree and a tile and a stone. Nichiren either inherits fate of the Bodhisattva Never Disparaging. 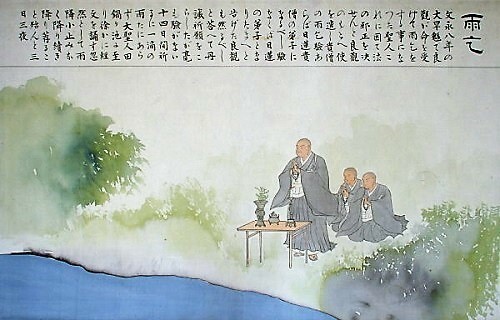 Nichikan (note) of the 26th chief priest of Nichiren Shosyu preaches it. The bodhisattva who is preached in the chapter of the Bodhisattva Never Disparaging Always. Bodhisattva Never Disparaging Always is the different name.He appeared in the middle day of the Law which was the post mortem period of the Buddha of Dignity Sound King. Because he preached the Lotus Sutra of 24 words teaching that all creatures have the nature of Buddha and worshiped all creatures and did not look down upon them, he was called Never Disparaging Bodhisattva. People looked down on him, and persecuted him by a stick tree, a tile and a stone, but he did not stop practices of the worship. Shakyamuni Buddha preaches a method of the post mortem propagation of Buddha and a merit of the reverse relationship through practices of bodhisattva. Nichiren Daishonin preached that he and his followers who chant Myoho-Renge-Kyo in the Latter Day of the Law is the Never Disparaging Bodhisattva. “The tenth. About the interpretation; 'They heard his preaching, they all believed in him, showed allegiance, obeyed and followed'. The Record of the Orally Transmitted Teachings says: The word 'heard' refers to the stage of hearing that name. After all, it is the daimoku for chanting it forcibly and angering a person. 'All' means the arrogant believers of four kinds. “Believed” refers to the faiths or belief that is without doubt. 'Allegiance' means the allegiance for the Lotus Sutra. 'Obeying' is that one's mind obeys to the Lotus Sutra. To 'follow' means that one's body follows of the Lotus Sutra. After all, now Nichiren and his followers, votaries of the Lotus Sutra who chant Nam-myoho-renge-kyo, are the Bodhisattva Never Disparaging in the latter day of the Law.” (Thirty important point of the chapter in the Bodhisattva Never Disparaging Always ) . From 1665 to 1726. The character name is Kakushin. He is born a child of Jo'en Ito of the vassal of castle king of Joshu (Gunma) Maebashi, Lord Sakai. At 18 years old, he made up his mind to become a priest when he heard the sermon of Nissei in the Jozai Temple of Shitaya. He did hard ascetic practices after becoming the priest under Nichi'ei and changed the name to Nichikan in 1689. In 1711, he become the sixth chief teacher. During this time, he publicized justice of Nichiren and devoted himself to the prosperity of the religious sect. Main writings are the Exegesis of Five Major Writing and the Writings of Six Volume. He received the transfer of lineage from Nichiyu of the 25th, he become the chief priest of Daisekiji Temple, in 1718. He is said to be the contributor of the halfway prosperity along with Nichi'u of the ninth. Originally not being yet of virtue. The inborn capacity of all creatures has two kinds of the "Already being of virtue originally” and “Originally not being yet of virtue". "The virtue" means a seed that will become Buddha, and it is necessary to plant the seed called Myoho-renge-Kyo because there is not this seed as for the all creatures in the latter day of Law. Shakubuku which is a professor method of the latter day of the Law has significance to plant the seed of Myoho-renge-Kyo to the all creatures of “Originally not being yet of virtue". Poor houses formed a line in the downtown area of Kamakura. The common people lived in the poor house like broken at any moment. The wall was strengthened with soil, and the roof stacked a board and put a stone not to blow away by wind. Judging from the present era, it maybe said that it is the slums, but people are strong in all ages. The everyday wear of the common people wore pants to a kimono of the cotton and closed an ankle with a string, and attached a short sword and the sack of flint to a waist. It is a style of loose trousers which is found in the countryside still now, and it is familiar to us of the present. One outstandingly more different than the present time is that men attached headwear of court nobles.Both an old man and young put the triangular black crowns on their heads, and they tied it up with a string under the chin and fixed it. It is said that they attached this even when sleeping. It is thought that the aristocratic culture of Heian era came down to the common people. The eating habits were simple. Their staple food mixed wheat and a millet with unpolished rice and steamed it. They did not boil the cleaned rice by water like the present. A noble ate the polished rice, therefore a life of noble was rather short generally. The thatched hut of Nichiren either was a simple building. He is the mere Buddhist priest who came from the country of Awa. It was only a few believers of the hometown Awa country that he relied. There was the place which was called Matsuba valley in the district called Nago'e whom it. 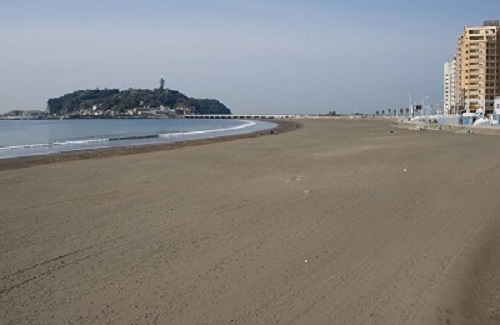 Nagoe is the district of southeast in Kamakura, Tokimasa Hojo of the first regent had made his house there. There is the house of the town's people, there is the house of the samurai here. The sea is near here. There is the Zaimokuza seashore which is bursting with energy if going down the loose slope. There was a mansion of Nago'e who was branch family of Hojo near. There is the parents' house of O'ama in Nagoe. In here is far from around Hachiman shrine where the aristocracy of the shogunate inhabits. Although the majority of Buddhist priests had a passion for getting close to the shogunate, Nichiren at first resided in a thatched hut of the Matsuba valley and started propagation to a samurai and a town's people. The people of the town feel interest in a rare thing. "Hey! Where do you go to?". "It is said that there is a Buddhist priest who have moved to the Matsuba valley recently. It is said that the Buddhist priest does the sermon interesting”. "Hum, it is amusing. I will hear it". "I go, either. By the way, may it cost money?”. Townsmen go into the thatched hut of Nichiren. There was around ten audience around Nichiren in the house. There is the person of the town, there are both a woman and the samurai either. All of them sat down on wooden flooring and heard a preach of Nichiren. The Japanese paper which was greatly written as a Nam-Myoho-Renge-Kyo is hung on the wall of the house. There is a frugal Buddhist altar, eight Lotus Sutras, the Infinite Meanings of the opening sutra, the Bodhisattva Universal Worthy of the ending sutra, this ten sutras of total were dedicated in front of that paper. Nichiren began sermon in front of Buddhist altar. "The person believing Nembutsu advocates it with Nam-Amidabutsu. They do not pray to Buddha but pray to Amidha. In the first place Amidha is the Buddha whom Shakyamuni Buddha preached. Amidha is the same as the someone else if we assume Buddha a parent. That is why it is the same as looking down upon one's parent all creatures worship someone else and ignore the Buddha who is a parent". "The Buddhist priest of the Zen Buddhism say ‘There is the truth in other than teachings', and they expand the false theory that the truth of the Buddha Law was orally transmitted to Mahakashyapa. Such a thing is not possible. The Zen Buddhism is teachings of an evil spirit excluding the great thankful Buddha who began Buddhism". One person left among audience, and two people left. There was the person who waved a neck, and returned.